When you interact with our customer support representatives via email, telephone, online or in person, we collect personal data, such as your name, mailing address, phone number, email address and contact preferences; and information about the Valumics products you own, such as their serial numbers and date of purchase. To improve customer service, subject to applicable laws, we may also record and review conversations with customer support representatives, and analyze any feedback provided to us through voluntary customer surveys. With your consent, our customer support representatives may sign in to your Valumics account, if appropriate, to help troubleshoot and resolve your issue. We use this information to provide you with customer and product support and to monitor the quality and types of customer and product support we provide to our customers. The legal ground for processing this information for these purposes is Valumics legitimate interests in providing quality product support. The legal ground for signing in to your Valumics account, if appropriate, to help troubleshoot and resolve your issue is consent, which you may withdraw. When you sign up to be a member of our stakeholder platform. When you use our homepage (www.valumics.eu) and when you agree to receive newsletter. HOW DOES VALUMICS.EU USE PERSONAL INFORMATION? To validate results and ensure their successful uptake, valumics.eu wishes to engage food system stakeholders through the valumics.eu Stakeholder Platform, offering its members a chance to voice their opinions via conferences, personal interviews and consultations. So valumics.eu may use the personal information to contact registered persons for that purpose. valumics.eu will also send out newsletters. Valumics.eu uses the services of sendinblue.com for collection and storage of data. The hosting servers on which Sendinblue.com processes and stores its databases are all located within the European Union, on their own servers, on Google Cloud or on AWS. Sendinblue.com rents storage bays in French data centers, and the hardware used is owned solely by Sendinblue.com. Data is stored either on Google Cloud in Belgium or on AWS in Ireland. Sendinblue.com has taken all necessary precautions to preserve the security of personal data and to prevent it from being accessed by unauthorized third parties, distorted, or damaged. Tier 3 and PCI DSS certified data centers. In addition, access to processing data on behalf of Sendinblue.com by the receiving third-party services requires authentication of the persons accessing the data, by means of an individual access code and password, that is sufficiently robust and regularly renewed. Valumics uses cloud services from third parties such as MAILCHIMP to assist in sending emails. Those services track the activities associated with these emails, such as whether they were opened, whether links in the emails were clicked on, and whether purchases were made following clicks on those links. Valumics uses this data to analyze the level of engagement with its emails. Valumics uses third-party service providers to ship purchased products to customers and to help us better understand usage of Valumics Express and Valumics websites and apps. We also collect data from users about their usage of Valumics Mobile Web. The types of analytical information that are collected include the date and time the app accesses our servers, app version, the location of the device, language setting, what information and files have been downloaded to the app, user behavior (e.g., features used, frequency of use), device state information, device model, hardware and operating system information, and information relating to how the app functions. Valumics uses this data to improve the quality and functionality of our mobile apps, Valumics Express; to develop and market products and features that best serve you and other users; and to help identify and fix app stability issues and other usability problems as quickly as possible. We request individuals under 16 not provide personal data to Valumics. If we learn that we have collected the personal data from a child under 16, we will take steps to delete the information as soon as possible. We will retain your personal data as long as your Valumics account is considered to be active. In addition, see below under “Your Rights” for a description of your right of erasure. Your personal data collected by Valumics is controlled by Valumics , which is located at Dunhagi 5, 107 Reykjavik – Iceland. Valumics Data Protection Officer is located at the same address and can also be reached by email at info@valumics.eu. 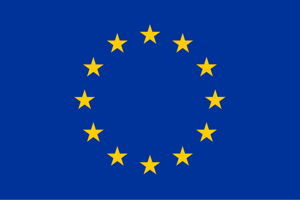 If you reside in the European Union, you have the right under the General Data Protection Regulation to request from Valumics access to and rectification or erasure of your personal data, data portability, restriction of processing of your personal data, the right to object to processing of your personal data, and the right to lodge a complaint with a supervisory authority. If you reside outside of the European Union, you may have similar rights under your local laws. If you live in the European Union and you wish to exercise your right to restriction of processing or your right to object to processing, contact our Data Protection Officer at Dunhagi 5, 107 Reykjavik – Iceland or by email at info@valumics.eu. If you do not live in the European Union but you believe you have a right to restriction of processing or a right to object to processing under your local laws, please contact Valumics at info@valumics.eu.